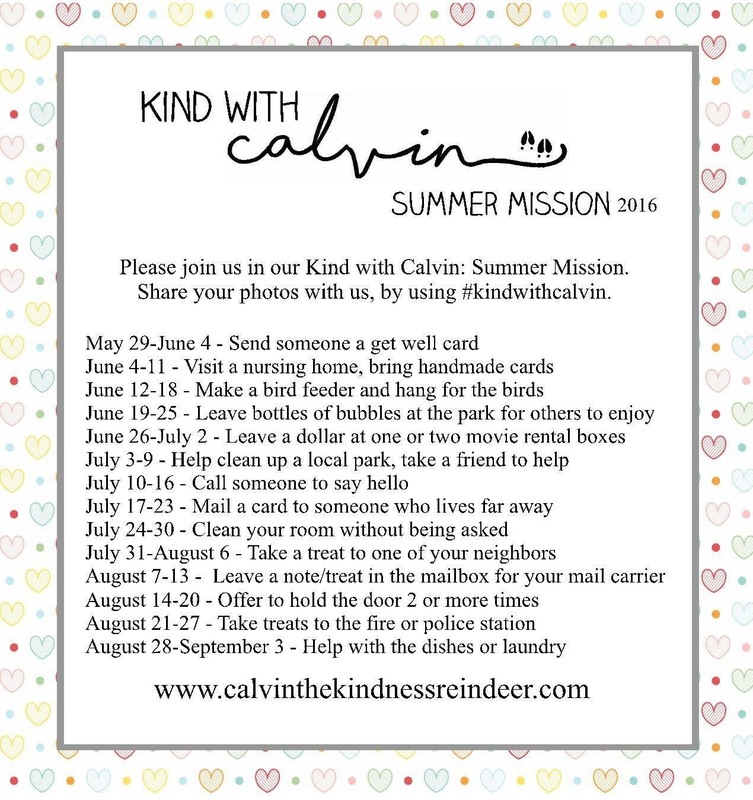 Ok guys, who is ready to go on a Summer Kindness Mission!?! Addison and I are excited about it! Below you will find the weekly list of kind acts that we will be performing this summer! We would love for everyone to join us! Our summer is starting a little earlier than most, so just jump in when you can! Feel free to switch things up, add your own acts of kindness, or do your own thing completely. The idea is to do at least one act of kindness each week. We would love to hear your stories and see pictures of your kind acts! Tag us in any pictures posted on social media, and use the hashtag #kindwithcalvin so we can see what you are up to!